Organizations are claiming that by end of this year more than half of them will have virtualized more than 50% of their IT environment. Separate research shows that virtualization investment is set to grow the fastest in the UK. 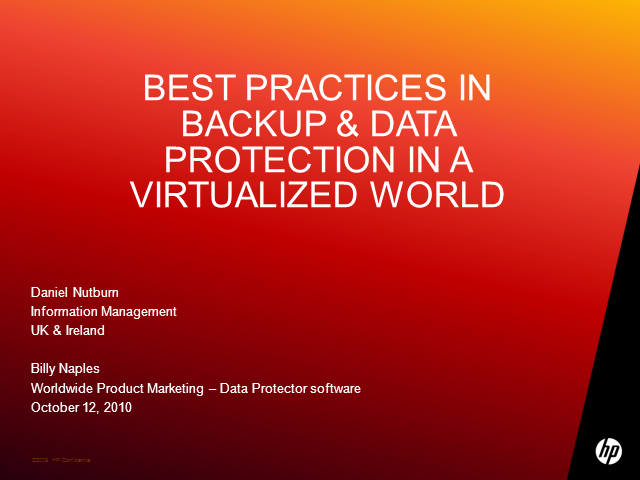 With virtualization moving from the server, to the desktop and to the application arenas, organizations increasingly need to fully consider and plan their supporting backup strategy.